Former NBA superstar Tim Hardaway is hoping his homophobic past doesn’t cost him his place in the NBA Hall of Fame again. The five-time All-NBA selection and five-time All-Star is a Hall of Fame finalist, for the fifth time. But, if history is any indication, he likely won’t be inducted. Quick backstory: In 2007, Hardaway was still riding high after recently retiring from a crazy successful 13-year career in the NBA, during which he scored a total of 15,373 points and 7,095 assists and won an Olympic gold medal with Team USA. Then it all came crashing down when he told a radio host that he hated gay people. First of all I wouldn’t want him on my team. Second of all, if he was on my team I would really distance myself from him because I don’t think that’s right and I don’t think he should be in the locker room while we’re in the locker room. I hate gay people. I let it be known, I don’t like gay people. I don’t like to be around gay people. Yeah, I’m homophobic. I don’t like it. It shouldn’t be in the world, or in the United States. So, yeah, I don’t like it. Hardaway later issued an apology and went on to be an advocate for LGBTQ youth, working with The Trevor Project and The YES Institute. He also advocated for marriage equality in Florida in 2014, and was a vocal supporter of Jason Collins, who became the first active openly gay male player in a major American professional team sport in 2013. Now, in a new interview with Hoops Hype, the 52-year-old says the reason he hasn’t been inducted into the Hall of Fame after all these years is because of those remarks he made in 2007. Hardaway says making the Hall of Fame “would mean a lot,” saying it “solidify my career.” And while he remains hopeful he’ll make it some day, he also knows it may never happen because of what he said once upon a time. He’s atoned for his sins. Time for everyone to let it go. Obvious question how would he feel if Larry Bird had said “ I hate black people” then after justifiably being condemned, apologizes, would he forgive him? It worked for senator Byrd. the guy has made a mistake and was actively doing things to make it up for his past. leave him alone. No, he made a choice, not a mistake. People seldom if ever change their core foundational beliefs. He’s just lowlife scum attempting to do whatever it takes to get his name in the hall of fame. It makes me happy when people are held accountable for their bad behavior! So when someone apologizes and goes out of his way to be on our side y’all won’t forgive him? That’s bonkers. We demand that people jettison homophobic words and actions but when those people do what we ASKED THEM TO DO, we have to be ready to let it go. When you’re forced to do something for self-preservation, is that true growth and change? People that not only hold that kind of hate, but publicly declare it, they don’t change. It’s a PR strategy to achieve a result, nothing more. I really, really, really hate hateful people. However 99.9% of those caught spewing hate give a half-hearted apology and never do anything to make ammends for their wrongs…. It seems he actually did some good especially working with the Trevor Project, so will give him a pass…. Oh the irony! I guess your too triggered to see it? While I admit that unlike many he has actually made an effort to get involved and change his thinking which is great however I did pick up on the fact that even when talking in retrospect he still says his comments were taken the wrong way. So many people when caught out in hate speech claim their comments were taken the wrong way but reading his comments they were pretty damn clear. I hope he truly has turned his thinking around and is now a true ally. How do you take that statement out of context? Those were strong, passionate words. I’m a big believer in second chances. At times I get really frustrated and annoyed when our community doesn’t forgive someone for homophobic comments or misdeeds they’ve done in the past but have had a change of heart. Our community call out homophobes and demand apologies and change, but when the homophobe does make a change, we’re never satisfied. The apology wasn’t good enough; they need to contribute to the LGBTQ community in some way; they’re only doing this to save their careers, etc. 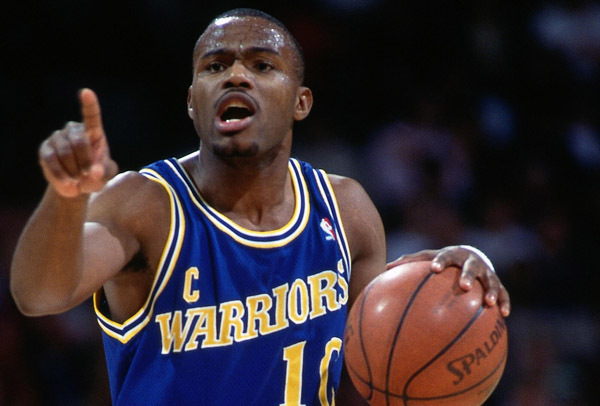 Now, with that said……I’m a bit hesitant about Tim Hardaway. Those were very strong anti-gay words he made in the past. I would want to know how he evolved from the time he made those comments to working with The Trevor Project and supporting marriage equality. That’s a hell of an 180, so I’d like to know his evolution before giving him a pass. Tim you could be right. But then there’s nothing wrong with that. So move on. He hasn’t ever seen that if you represent a brand or organization the best way to get out of a job, gig, award, etc is by making statements that sound like you are small minded or prejudice in any way. To him I say Boo Hoo, too bad he never learned basic manners and decency.